Flip a coin. 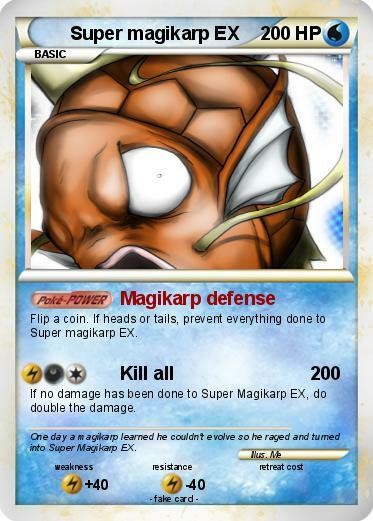 If heads or tails, prevent everything done to Super magikarp EX. If no damage has been done to Super Magikarp EX, do double the damage. Comments : One day a magikarp learned he couldn't evolve so he raged and turned into Super Magikarp EX.